I have not forgotten you. You are still my blog and after a few weeks of non-updating I think I should let you know what I have been doing lately. First of all I have been to China for a month during september, enjoying the food and spending time with my family-in-law. A little side trip to Hong-kong was also included. Now back in Switzerland I am working hard on the Grand Prix d’Horlogerie de Genève animations for this year. As well as doing some other editing projects. But most important, I will be giving a presentation at this year’s blender conference in Amsterdam. 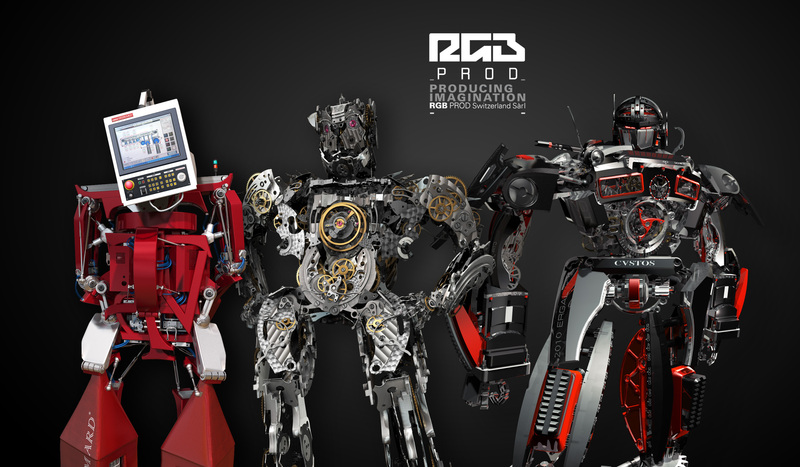 The 3 robots we made at RGBprod will be the subject of the talk. Here is a little image with them. I will be happily surrounded by my good friends Francesco Siddi and Pablo Vazquez. We will show some making-of and hopefully have a lot of fun.